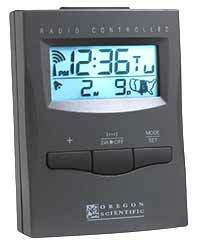 Split-second ExactSet accuracy in a compact, affordable atomic clock. An incredible value with the same precision and attributes of our other ExactSet clocks. It is perfect for use at home, the office or wherever there is a need for the ExactSet performance. Actual size: 2.75" x 0.75" x 3.5"